You voted and we listened. If you’ve been following our Instagram story we’ve been asking all week if we should host a Hurricane Party and it was overwhelmingly a YES. So we will be hosting a Tiki-themed party complete with decorations and all the trimmings. 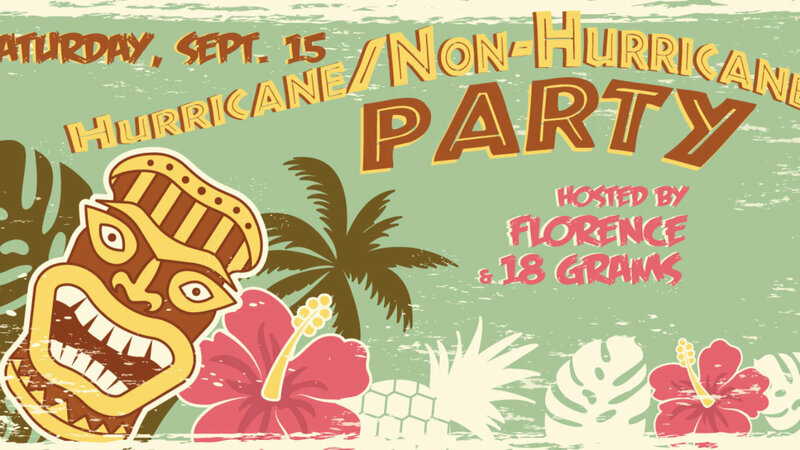 And while this “hurricane” may be a non-event for Culpeper, we thought what better way to celebrate with a party. If you haven’t been to one of our special events yet, you won’t want to miss this one. There will be special food, drinks, giveaways and even a few surprises all day long. Starting in the morning we will be serving a very special Pineapple French Toast. Complete with unique twist on this decadent breakfast. In the afternoon we will have a host of other lunch specialities, including a special pasta, our soon-to-be famous Belgian Beef Beer Stew and a few other surprises thrown in. After we close stick around for an exclusive invite-only after party (adults only).